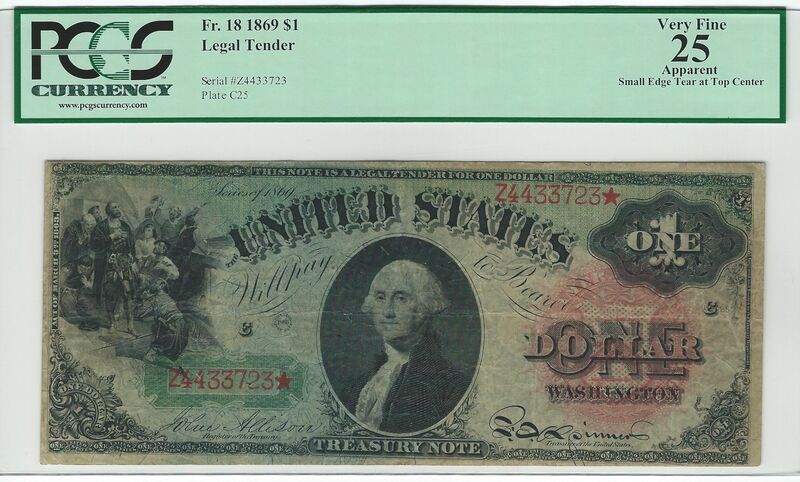 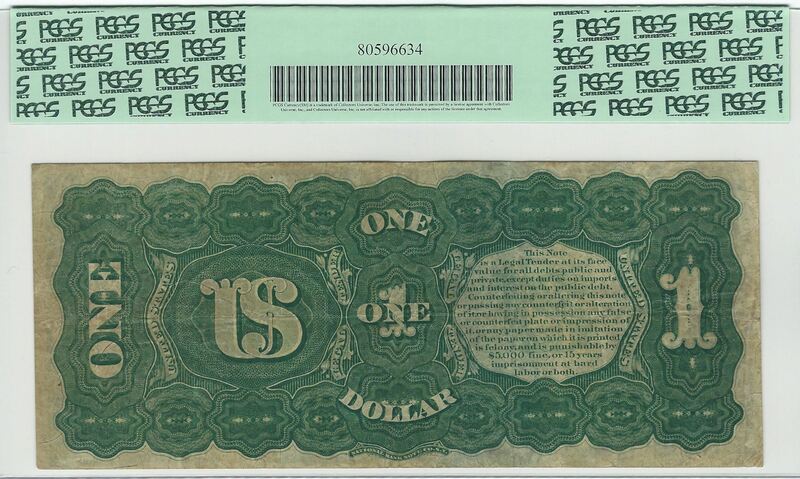 A nice mid-grade example of this popular "Rainbow" $1 Legal Tender, so named for its veritable rainbow of colors. 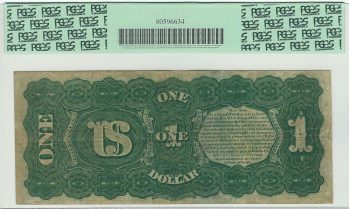 This is a one Friedberg number type note and is a necessary requirement for any type set of Large Size Notes. 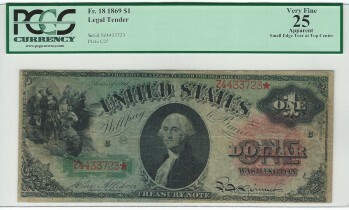 The colors remain quite vivid on this moderately circulated piece that has a minute edge tear in its top margin.